Therefore, since it is by God's mercy that we are engaged in this ministry, we do not lose heart. We have renounced the shameful things that one hides; we refuse to practice cunning or to falsify God's word; but by the open statement of the truth we commend ourselves to the conscience of everyone in the sight of God. And even if our gospel is veiled, it is veiled to those who are perishing. In their case the god of this world has blinded the minds of the unbelievers, to keep them from seeing the light of the gospel of the glory of Christ, who is the image of God. For we do not proclaim ourselves; we proclaim Jesus Christ as Lord and ourselves as your slaves for Jesus' sake. For it is the God who said, "Let light shine out of darkness," who has shone in our hearts to give the light of the knowledge of the glory of God in the face of Jesus Christ. Jesus said to him, "I am the way, and the truth, and the life. No one comes to the Father except through me. If you know me, you will know my Father also. From now on you do know him and have seen him." Philip said to him, "Lord, show us the Father, and we will be satisfied." Jesus said to him, "Have I been with you all this time, Philip, and you still do not know me? Whoever has seen me has seen the Father. How can you say, 'Show us the Father'? Do you not believe that I am in the Father and the Father is in me? The words that I say to you I do not speak on my own; but the Father who dwells in me does his works. Believe me that I am in the Father and the Father is in me; but if you do not, then believe me because of the works themselves. Very truly, I tell you, the one who believes in me will also do the works that I do and, in fact, will do greater works than these, because I am going to the Father. I will do whatever you ask in my name, so that the Father may be glorified in the Son. If in my name you ask me for anything, I will do it. Hebrews 11:6 (NIV) And without faith it is impossible to please God, because anyone who comes to him must believe that he exists and that he rewards those who earnestly seek him. "But if you do not do so, then take note, you have sinned against the Lord; and be sure your sin will find you out." Sometimes we confuse God's grace with lenience or maybe even ignorance. Because we don't face the immediate consequences of our actions, we might think we are getting away with it. But the Bible says, "Your sin will find you out" (Numbers 32:23). If we were to go back and translate that from the original Hebrew, it would say, "Your sin will find you out." And what that means is your sin will find you out. When Jonah went and preached to the Ninevites, he warned them, "Forty days, and Nineveh shall be overthrown!" (Jonah 3:4) Actually there was hope in that message, because the fact they were being warned by God implied there could be forgiveness if they turned from their sin. When God brought His judgment on Sodom and Gomorrah, there was no warning. There was no prophet Jonah walking through the streets, preaching to them. It came on them unexpectedly. In Nineveh's case, however, God gave them a chance. God does give a lot of chances. We might sin and then tell ourselves, "Nothing happened. Maybe God wasn't paying attention. Maybe God doesn't care." Or worse yet, we'll deceive ourselves into thinking that God is okay with it. God isn't okay with it. God never will contradict His Word. We are going to face the consequences of our sin, but God may be giving us the opportunity to repent. As Ecclesiastes 8:11 says, "When a crime is not punished quickly, people feel it is safe to do wrong" (NLT). We will reap what we sow, no matter what. It may be ten years. It may be a year. It may be a month. It may be a week. It could be ten minutes. But it will happen. The wheels of God's justice may grind slowly, but they grind surely. Scripture taken from the New King James Version®, NKJV® Copyright © 1982 by Thomas Nelson. Used by permission. All rights reserved. Scripture taken from the Holy Bible, New Living Translation®, NLT® copyright © 1996, 2004, 2015 by Tyndale House Foundation. Used by permission of Tyndale House Publishers Inc., Carol Stream, Illinois 60188. All rights reserved. Devotion by Greg Laurie © 2017 Harvest Christian Fellowship; all rights reserved. Padre de los huérfanos y defensor de las viudas es Dios en su morada santa. Desde que comencé este libro para motivar, he tenido en mi mente a algunas oyentes que se me han acercado para contarme que quedaron viudas y me han dado una palabra especial a fin de valorar y disfrutar de nuestros cónyuges ahora que están vivos. Sus palabras me conmovieron, pues estoy recién casada. Además, en varias oportunidades me dijeron lo mismo: «Disfruta a tu esposo, no pierdas el tiempo peleando por tonterías. Cuando se van, la soledad y la pérdida son demasiado duras». Así que me quedé pensando y me dije: «¡Es cierto! ¿Para qué perder el tiempo en cosas que pueden arreglarse como amigos y más bien disfrutarse al máximo? A decir verdad, no sabemos los planes de Dios. Lo mejor sería envejecer y morir juntos. Sin embargo, la gran realidad es que siempre va a morir uno primero que el otro». Lo que más me sorprendió es que estas mujeres perdieron a sus esposos de cuarenta y nueve años y cuarenta y cinco de un infarto, y quedaron viudas jóvenes y sus hijos sin padres. Hoy doy reconocimiento a cada mujer que ha quedado solita y que se recupera de está perdida. Quizá ya lo sepas, pero no está de más que lo recordemos. Cuando se es viuda, eres más especial para Dios. En la Biblia hay catorce versículos donde Dios habla de los cuidados y el privilegio para estas mujeres. Here is the final of five ways God uses problems and persecution in your life: God uses problems and persecution to PERFECT you. Problems, when responded to correctly, are character builders. God is far more interested in your character than your comfort. Your relationship to God and your character are the only two things you are going to take with you into eternity. Paul’s faithfulness was tested by a sword. A sacrifice was paid even for a despised tribe. And she entered into Jesus’ genealogy. PRAYER: Thanks be to God who gives us the victory! Her name means: "Who Is Like God?" Her character: A woman of strong emotions, she was unable to control the important circumstances of her life. Forcibly separated from two husbands, she lost her father and her brother, who were savaged by their enemies. Her sorrow: That she was ensnared in the drawn-out battle between Saul and David. Her joy: Though short-lived, she enjoyed a passionate love for David. Michal stretched herself across the window's edge. Leaning out as far as she dared, she could see her husband running through the night shadows, his movements swift and lithe, like a young stag evading its predators. Even if her father, the king, pursued with an army, she was confident he would not catch her David. She had loved the shepherd boy since the day he had calmed Saul's troubled soul with his harp playing. After he defeated the hideous Goliath with only a sling and a stone, all Israel fell in love with him. But it was for her alone that David had slain two hundred Philistines—to prove his worth. She turned from the window, grateful for the chance to have aided her husband's escape. Quickly she dressed one of the household idols, placing it in their bed and topping it with goat's hair to make it look like a sleeping David. She was ready for her father's men when they came pounding on her door. "David is ill," she told them. So they returned to King Saul, who immediately ordered them back, saying, "Bring him up to me in his bed so that I may kill him." Discovering the ruse, Saul confronted his daughter: "Why did you deceive me like this and send my enemy away so that he escaped?" Michal lowered her eyes and replied, "He said to me, 'Let me get away. Why should I kill you?' " She held her breath, certain her father would never swallow so bold a lie. Nine years or more have passed. Michal glanced out the window, arms folded tightly against her breast, observing the scene below. David, now the king, had entered Jerusalem, leaping and dancing as the ark of the covenant was carried into Jerusalem. He looked ridiculous to Michal, more like a romping goat than a great king. David offered the sacrifices and blessed the people. Then he entered his own house to bless it. But Saul's daughter met him with scornful eyes: "How the king of Israel has distinguished himself today, disrobing in the sight of the slave girls of his servants as any vulgar fellow would!" "It was before the Lord, who chose me," he replied, "rather than your father or anyone from his house when he appointed me ruler over the Lord's people Israel—I will celebrate before the Lord. I will become even more undignified than this, and I will be humiliated in my own eyes. But by these slave girls you spoke of, I will be held in honor." Twice, Michal stood at a window observing David. 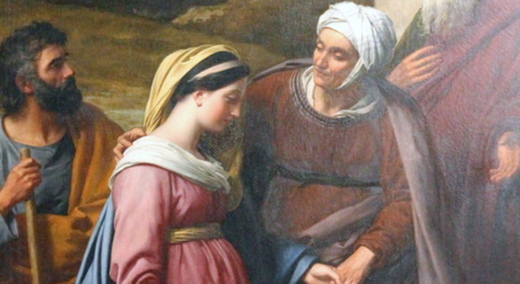 In the first scene, Scripture paints her as David's wife, in the second as Saul's daughter. In fact, her attitude is so changed that we feel perplexed, watching her as she watches David. To understand what may have shaped Michal's heart in the intervening years, we need to find a corridor connecting the two windows, a passageway that somehow led from love to scorn. Michal may have expected her separation from David to be a short one, her idealism forging a happy ending to their fairy-tale love. Perhaps she believed David would find a way to protect her from her father's wrath. Was she shocked when real life intervened and her father punished her by marrying her to another man? Did her bitterness grow during David's long absence? Had she finally made peace with her new marriage only to be torn from her husband when David demanded her back after Saul's death? Did she question God's judgments, identifying more with the dead than the living after her father perished in a desperate battle with the Philistines? Perhaps Michal's bitterness swelled to rage when she realized she had always been someone else's pawn, a mere woman manipulated by powerful men. Her own father used her, promising her to David in hopes she would prove a snare to him. And, finally, one of her brothers handed her back to David after Saul's death, further legitimizing David's claim to the throne. A princess, then a queen, she was still a slave. Michal's story is tragic. Throughout the difficult circumstances of her life, we see little evidence of a faith to sustain her. Instead, she is tossed back and forth, her heart left to draw its own bitter conclusions. In the last scene with David, we see a woman blind with scorn, making the very mistake God cautioned the prophet Samuel against in his search for a king to succeed the wayward Saul: "Do not consider his appearance or his height, for I have rejected him. The Lord does not look at the things human beings look at. People look at the outward appearance, but the Lord looks at the heart." The truth is, God is the only one who can see into the depths of anyone's heart, including Michal's. He knew everything that had happened, both good and bad. Still the story of Michal seems to indicate that she grew to be more like Saul than like David. As such, she reminds us that even victims have choices. No matter how much we've been sinned against, we still have the power to choose the attitude of our heart. If we cast ourselves on God's mercy, asking him to help us, he cannot refuse. Even in difficulty, he will dwell in us, shaping our own wayward hearts into the likeness of his own. Michal's contempt for true worship can be contrasted with David's love of worship. He worshiped God with abandon, with a true heart. His devotion was so deep, so real, it had to be expressed in the most extravagant praise and in dancing "with all his might." That's the sort of worship God is looking for from his people, and he responds with a promise to bless. By the seventh day God had finished the work he had been doing; so on the seventh day he rested from all his work. Then God blessed the seventh day and made it holy, because on it he rested from all the work of creating that he had done (Genesis 2:2-3 NIV). Have you ever driven to a store or restaurant only to find a sign on the door reading “Closed for Renovations”? What an inconvenience, right? But hopefully you were “wowed” at the grand re-opening when you saw the finished product and the improvements made. Do you ever wish you could have a “Closed for Renovations” sign over your life? Wouldn’t it be nice to take time out to renovate yourself without any interruptions? If only you could stop the texts and hit the pause button on your obligations. Sure it would be inconvenient, but wouldn’t it be worthwhile? Let’s just imagine you have a few days without any responsibilities except focusing on the areas in your personal life that need some tender loving care. What might your renovations list look like? Believe it or not, the world will not stop spinning on its axis if you take a short sabbatical for yourself. Whether it’s a quiet weekend or a six-month period when you don’t volunteer for anything, give yourself permission to rest. When you take time weekly to renovate your soul, mind and body, you set yourself apart from the world. The world moves too fast for this kind of inactivity that seems counter-productive. Yet when you pause to rest and know that He is God, it will fill you up to live more purposefully. Don’t just wait for “free time” in your life to make renovations. That free time will never appear unless you create it. 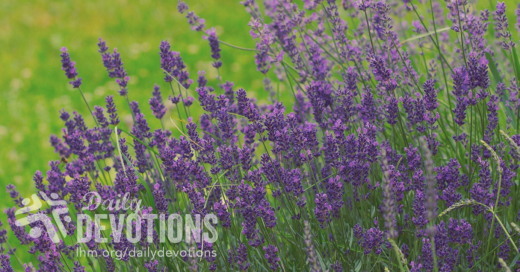 Set aside time for the Lord on Sundays and other days and just watch what God will do. Dear Lord, help me to slow down to give You time to renovate my life. Renew a right spirit within me and transform my thinking to conform to Your Word. I dedicate my days of work and rest to You, for Your glory and use. In what ways do you keep the Sabbath holy? Do you take time to regular rest and worship God? Part of Sabbath rest is turning off your electronic devices. Find screen-time help for your family in Arlene’s book co-authored with Gary Chapman, Growing Up Social: Raising Relational Kids in a Screen-Driven World. Daily Devotion May 1, 2017 "What Fires You Up?" This event in the Bible still amazes me. How about you? Luke 24:30-35 - When He (Jesus) was at the table with them, He took bread, gave thanks, broke it and began to give it to them. Then their eyes were opened and they recognized Him, and He disappeared from their sight. They asked each other, "Were not our hearts burning within us while He talked with us on the road and opened the Scriptures to us?" They got up and they returned at once to Jerusalem. There they found the eleven and those with them, assembled together and saying, "It is true! The Lord has risen and He has appeared to Simon." Then the two told what had happened on the way, and how Jesus was recognized by them when He broke the bread. This event in the Bible still amazes me. How about you? It's right after the resurrection of Jesus and He starts making appearances to various disciples around Jerusalem. In this case, He comes along two people walking on the road. They're downcast; they're disappointed; they're heartbroken concerning what happened to their Savior and Friend on Good Friday, as He was crucified on the cross. Their sorrow was so all-encompassing that they couldn't -- or maybe wouldn't -- recognize Jesus, even as He came alongside of them. Listen to what they said about His word: "Didn't our hearts burned within us as He talked with us on the road and opened the Scriptures to us?" That's a fire. That's a burning that you and I need in the midst of our struggles and griefs, too. When I thought about what fires us up, what burns us up, most of the things that do that for us, they eventually fade away. People are fired up at sporting events, cheering for their team, but that fades quickly, even if they win. People are fired up for their hobbies and leisure. But even burning in your heart for those things fades if there's not something more substantial in your life, above and beyond that. And of course there's all kind of fires burning in our hearts that are up to no good for us either. So here's a thought for today: there are fires that burn things up, destroy; there are fires that motivate and give joy. Think of the fire that devours a forest or one that levels a house; it leaves nothing behind, or think of the fire at a campfire that draws you into its heat and glow and transforms the night from darkness to light, joy, and camaraderie. Pray today that you know the difference in your life between the fires that destroy (and I'm not talking about literal flames here; I'm talking about what burns in our hearts) -- pray that you know the difference such fires. But even more importantly, immerse yourself in the Words of Jesus, the Words of God, in the Scripture. It's a fire, it's a glow that will draw you close to His love and grace, and empower your life right through death itself. Just listen to the ones who walked with the risen Savior on the road that day. God bless. Todos tenemos cuentas que pagar. Y creo no equivocarme al decir que la mayoría de nosotros sabemos lo que es tener más deudas para pagar que dinero para hacerlo. Eso le sucedió a un hombre que recibió una carta de uno de sus acreedores demandándole que le pagara lo que le debía. Como respuesta, este hombre escribió a su vez una carta a la compañía diciendo: "Estimados señores, cada vez que cobro tomo todas las cuentas que tengo para pagar, las pongo sobre la mesa, las mezclo, y pago las seis que quedan que quedan más arriba en la pila. Si recibo otra carta en el mismo tono que la que me acaban de enviar, el mes que viene quedarán oficialmente fuera de la pila." Si bien la idea es muy creativa, dudo que le haya dado resultado. Aunque parezca mentira, muchas personas hacen lo mismo con respecto a sus almas. Se fijan en todas las cosas que quieren hacer y tener, y las ponen por encima de todo lo demás en su vida. Y si Dios les hace saber que quisiera ser parte de sus vidas, lo quitan del medio y hasta amenazan con olvidarlo para siempre. Esa sí que es una mala idea que no va a dar resultado. Nuestro Señor dio a su Hijo para salvarnos. Más aún, cada día nuestro Dios nos cuida y protege de peligros y problemas ocultos. Es justo que el darle gracias siempre sea lo primero en la pila. El salmista dijo: "Bendeciré al Señor en todo tiempo; mis labios siempre lo alabarán." Él sabía que Dios debía estar primero que nada. What would you do if the Lord showed up in the middle of your workday with a message? This happened to Gideon, one of the ancient Israelites. “The angel of the Lord appeared to him and said, ‘Mighty hero, the Lord is with you!’ ” Gideon could have responded with a wordless nod and gulp, but instead he said, “If the Lord is with us, why has all this happened to us?” (Judg. 6:12–13 nlt). 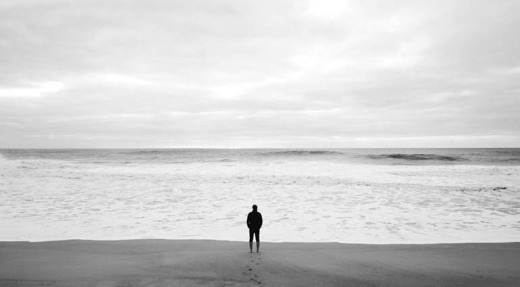 Gideon wanted to know why it seemed as if God had abandoned His people. God didn’t answer that question. After Gideon had endured seven years of enemy attacks, starvation, and hiding in caves, God didn’t explain why He never intervened. God could have revealed Israel’s past sin as the reason, but instead He gave Gideon hope for the future. God said, “Go with the strength you have . . . . I will be with you. And you will destroy the Midianites” (vv.14, 16 nlt). Do you ever wonder why God has allowed suffering in your life? Instead of answering that specific question, God may satisfy you with His nearness today and remind you that you can rely on His strength when you feel weak. When Gideon finally believed that God was with him and would help him, he built an altar and called it “The Lord Is Peace” (v. 24). There is peace in knowing that whatever we do and wherever we go, we go with God who promised never to leave or forsake His followers. For help, read Why? Seeing God in Our Pain at discoveryseries.org/cb151. What could be better than getting answers to our why questions? Trusting a good and powerful God. Bạn sẽ làm gì nếu Chúa hiện ra và truyền cho bạn một thông điệp trong lúc bạn đang làm việc? Chuyện này đã xảy đến với Ghi-đê-ôn, một người Y-sơ-ra-ên thời xưa. “Thiên sứ của ĐỨC GIÊ-HÔ-VA hiện đến với Ghi-đê-ôn và nói: ‘Hỡi người chiến sĩ dũng cảm! ĐỨC GIÊ-HÔ-VA ở với anh.’” Ghi-đê-ôn có thể đáp lại thiên sứ bằng cách cúi đầu im lặng, nhưng ông lại thắc mắc: “Nếu ĐỨC GIÊ-HÔ-VA ở cùng chúng tôi, tại sao tất cả các việc nầy xảy đến cho chúng tôi?” (Quan 6:12–13). Ghi-đê-ôn muốn biết rằng vì sao có vẻ như Đức Chúa Trời đã bỏ rơi dân Ngài. Đức Chúa Trời không trả lời thắc mắc đó. Suốt bảy năm qua, Ghi-đê-ôn phải chịu cảnh bị kẻ thù quấy rối, bị đói khát và sống chui nhủi trong hang động, Đức Chúa Trời không giải thích vì sao Ngài không hành động. Đức Chúa Trời có thể chỉ ra tội lỗi quá khứ của dân Y-sơ-ra-ên như một lý do để Ngài im lặng, nhưng Ngài lại mang đến cho Ghi-đê-ôn niềm hy vọng về tương lai. Đức Giê-hô-va phán: “Hãy dùng năng lực con có… Ta sẽ ở cùng con, và con sẽ đánh bại dân Ma-đi-an” (c.14, 16). Chúng ta sẽ cảm thấy bình an khi biết rằng trong bất cứ việc gì mình làm và bất cứ nơi đâu mình đi đến, Chúa luôn đồng hành với chúng ta, Ngài là Đấng đã hứa sẽ không bao giờ lìa bỏ những ai theo Ngài. Lạy Chúa, xin giúp con tin cậy Ngài ngay cả khi con không hiểu được lý do của những sự việc xảy ra trong đời con. Con mong được gần Ngài và kinh nghiệm sự bình an từ nơi Ngài. Thật tốt khi có thể tìm được lời giải đáp cho những thắc mắc “tại sao”. Nhưng điều tốt hơn là đặt lòng tin cậy nơi Đức Chúa Trời tốt lành và quyền năng. 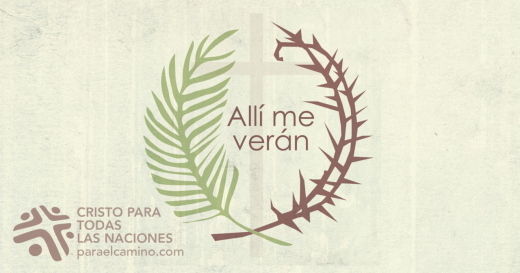 … Ve con esta tu fuerza […] yo estaré contigo… (v. 14, 16). ¿Qué harías si el Señor apareciera en medio de tu jornada laboral con un mensaje? Esto le sucedió al israelita Gedeón. «Y el ángel del Señor se le apareció, y le dijo: el Señor está contigo, varón esforzado y valiente. Y Gedeón le respondió: Ah, señor mío, si el Señor está con nosotros, ¿por qué nos ha sobrevenido todo esto?» (Jueces 6:12-13). Gedeón quería saber por qué parecía que Dios había abandonado a su pueblo. Sin embargo, después de que Gedeón soportó siete años de ataques enemigos, hambruna y esconderse en cuevas, Dios no le explicó por qué no había intervenido. El Señor podría haber citado el pecado de Israel como una razón, pero, en cambio, le dio esperanza para el futuro, diciendo: «Ve con esta tu fuerza […]. Ciertamente yo estaré contigo, y derrotarás a los madianitas» (vv. 14, 16). ¿Alguna vez te preguntaste por qué Dios permitió que sufrieras? En vez de contestar esa pregunta, quizá el Señor te satisfaga con su cercanía hoy, y te recuerde que puedes descansar en su fortaleza. Cuando Gedeón creyó que Dios estaba con él, edificó un altar y lo llamó «El Señor es Paz» (v. 24 LBLA). Tenemos paz al saber que, dondequiera que vayamos, vamos con Dios, quien prometió no abandonar jamás a sus seguidores. Señor, ayúdame a confiar en ti, incluso cuando no entiendo el porqué de ciertas cosas. ¿Qué es mejor que recibir respuesta? Confiar en un Dios bueno y poderoso. Was würdest du tun, wenn du mitten am Tag eine Nachricht von Gott bekommen würdest. Genau das passierte Gideon, einem Mann aus dem Volk Israel. „Da erschien ihm der Engel des Herrn und sprach zu ihm: Der Herr mit dir, du streitbarer Held! Gideon aber sprach zu ihm: Ach, mein Herr! Ist der Herr mit uns, warum ist uns dann das alles widerfahren?“ (Rich. 6,12-13). Gott beantwortete seine Frage nicht. Nachdem Gideon sieben Jahre lang unter den Angriffen der Feinde und unter Hunger gelitten und sich in Höhlen hatte verstecken müssen, gab Gott keine Erklärung, warum er nicht eingegriffen hatte. Er hätte Israels Sünde als Grund nennen können. Doch stattdessen schenkte er Gideon Hoffnung. „Geh hin in dieser deiner Kraft“, sagte er. „Ich will mit dir sein, dass du die Midianiter schlagen sollst“ (V.14.16). Fragst du dich manchmal, warum Gott das Leid in deinem Leben zulässt? Anstatt dir darauf eine Antwort zu geben, mag Gott dich heute mit seiner Nähe beschenken und dich daran erinnern, dass er dir in deiner Schwäche Kraft geben kann. Als Gideon schließlich glaubte, dass Gott bei ihm war und ihm helfen wollte, baute er einen Altar und nannte ihn „Der Herr ist Friede“ (V.24). Ja, das Wissen, dass der Gott, der versprochen hat, uns nie zu verlassen, mit uns geht, egal was wir tun oder wohin wir gehen, schenkt tiefen Frieden. Herr, hilf mir, dir zu vertrauen, auch wenn ich nicht verstehe, warum manche Dinge passieren. Schenke mir deinen Frieden. Was ist noch besser als eine Antwort auf unsere Warum-Fragen? Das Vertrauen auf einen guten und mächtigen Gott. Comment réagiriez-vous si le Seigneur interrompait votre journée de travail en vous communiquant un message ? Or, cela est arrivé à Gédéon, un Israélite de l’Antiquité. « L’ange de l’Éternel lui apparut, et lui dit : L’Éternel est avec toi, vaillant héros ! Gédéon lui dit : Ah ! mon seigneur, si l’Éternel est avec nous, pourquoi toutes ces choses nous sont‑elles arrivées ? » (JG 6.12,13.) Gédéon voulait savoir pourquoi Dieu semblait avoir abandonné son peuple. Dieu a laissé cette question sans réponse. Même si Gédéon avait subi les attaques de ses ennemis, avait souffert de la faim et avait dû vivre caché dans des grottes pendant sept ans, Dieu ne lui a jamais expliqué pourquoi il n’était pas intervenu. Dieu aurait pu évoquer les péchés passés d’Israël à cet effet, mais il a préféré donner à Gédéon un avenir à espérer : « Va avec cette force que tu as […] je serai avec toi, et tu battras Madian » (V. 14,16). Vous êtes‑vous déjà demandé pourquoi Dieu permet que vous souffriez ? Au lieu de répondre à cette question précise, il se peut que Dieu vous donne satisfaction en vous faisant ressentir sa proximité aujourd’hui et en vous rappelant que vous pouvez compter sur sa force quand vous vous sentez faible. Lorsque Gédéon a fini par croire que Dieu était à ses côtés et allait lui venir en aide, il a érigé un autel qu’il a nommé « l’Éternel paix » (V. 24). 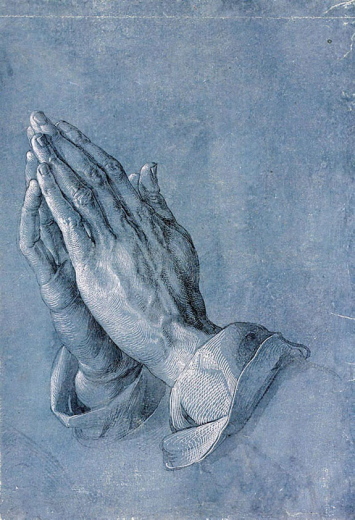 Le fait de savoir que, quoi que nous fassions et où que nous allions, le Dieu qui a promis de ne jamais nous délaisser ni nous abandonner sera toujours avec nous a de quoi nous apaiser. Se fier à un Dieu bon et puissant, voilà la réponse à tout. Що б ви робили, якби Господь в робочий день з’явився вам з якоюсь звісткою? Саме це сталося з Гедеоном. “І явився до нього Ангол Господній, і промовив йому: Господь з тобою, хоробрий мужу!” Здавалося, Гедеон мав від переляку втратити дар мови, але натомість він відказав: “Якщо Господь з нами, то нащо прийшло на нас усе це?” (Суд. 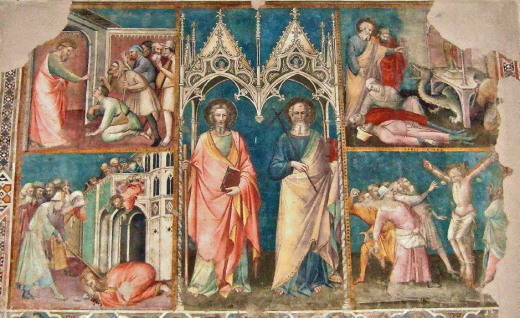 6:12-13). Але Бог не відповів на це питання. Гедеон сім років страждав від нападів ворогів. Весь цей час він переховувався в печерах. Однак Бог не пояснив йому, чому не втручався в ці події. Господь також не вказав на колишні гріхи як на причину страждань. Натомість Він дав Гедеону надію на майбутнє, кажучи: “Іди з цією своєю силою… Я буду з тобою, і ти поб’єш мідіянітян, як одного чоловіка” (Суд. 6:14, 16). Чи ви коли-небудь задавались питанням, чому Бог попускає страждання у вашому житті? Господь навряд чи відповість вам на це питання. Натомість Він задовольнить вашу душу Своєю присутністю і нагадає вам, що можете цілком покладатися на Його силу в часи слабкості. Коли Гедеон зрештою повірив, що Бог з ним і допоможе йому, він побудував олтар і назвав його Єгова-Шалом, тобто “Господь є мир” (Суд. 6:24). Усвідомлення тієї істини, що куди б ми не пішли, і що б ми не робили, з нами завжди Бог − дарує глибокий спокій. Господи, допоможи мені довіряти Тобі, навіть коли не розумію, чому в моєму житті відбуваються певні речі. Лину до Тебе, бо потребую Твого миру. Що краще за отримання відповідей на всі наші “чому?” Довіра благому, могутньому Богу. Что бы вы сделали, если бы Господь явился вам в разгар рабочего дня с вестью? Именно это произошло с Гедеоном, одним из древних героев Израиля. «Явился ему ангел Господен и сказал ему: “Господь с тобой, муж сильный!”» Растерянный Гедеон стал возражать: «Если Господь с нами, то отчего постигло нас все это?» (Суд. 6:12-13). Будущий победитель хотел знать, почему Бог, как казалось, отверг Свой народ. Бог не ответил на вопрос. После семи лет вражеских нападений, голода и скитаний по пещерам люди так и не узнали, почему Он не вмешался. Бог мог бы открыть Израилю его прошлые грехи, но вместо этого Он дал Гедеону надежду на будущее. Бог сказал: «Иди с этой силой твоей и спаси Израиля... Я буду с тобой» (Суд. 6:14, 16). Вы никогда не задумывались, почему Бог допускает страдания в вашей жизни? Вместо ответа на этот вопрос Бог может утешить вас Своим присутствием и напомнить, что в своей слабости вам следует полагаться на Его силу. Поверив в то, что Бог был с Ним и что Он поможет, Гедеон соорудил жертвенник и назвал его «Господь – мир» (Суд. 6:24). Если помнить о том, что Господь с нами, куда бы мы ни пошли и что бы ни делали, в сердце приходит мир. Он обещал никогда не оставить и не покинуть Своих детей. Господь, помоги мне доверять Тебе, даже когда я не понимаю, почему происходит то или иное. Я обращаюсь к Тебе за миром и спокойствием. Чтобы узнать больше, прочитайте брошюру «Почему? Как видеть Бога среди невзгод». Что может быть лучше ответов на молитвы? Доверие благому и великому Богу.